This past Saturday (August 31, 2013), we departed Estes Park, CO and headed for Creede, CO. We are staying at Mountain Views RV Resort where we have stayed several times before. We have some friends who wanted to meet us here since they have never been here before and we have told them many times about this nice RV park. Creede is an old mining town that is located about 20 miles north of South Fork, CO on State Hwy 149. The Rio Grande River is just about two miles from the town but the RV Park is on the banks of the river. This is what you would call a destination RV resort since if is far off any major highway. It is not a traditional overnight campground. When you come here, you need to plan on staying for several days or longer. Many people come here and stay for a month or more and some stay for the entire summer. 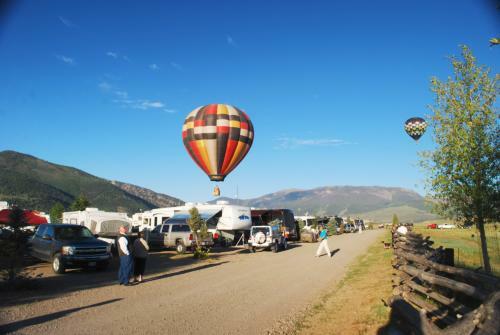 The RV park is only open for 5 months from May to the 1st of October. On this visit, we were fortunate to be here over the Labor Day weekend. 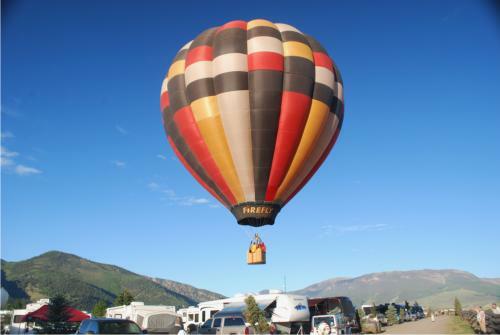 One of the many activities that were scheduled for that weekend was a Hot Air Balloon Fest. We missed the Saturday morning flight but saw the Sunday morning flight. 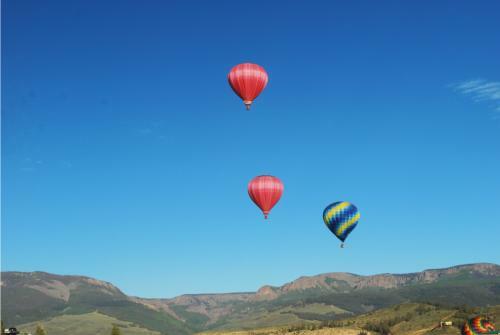 This is the first time that I have been that close to hot air balloons. 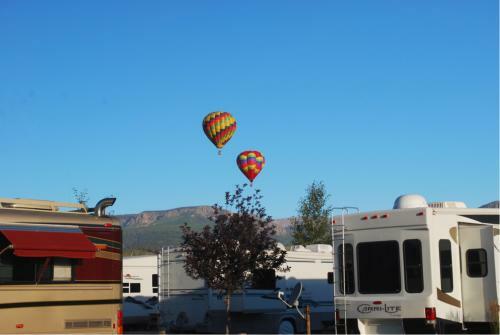 They launched from the small airport that is adjacent to the campground and flew over the RV park. Check out the pictures below. 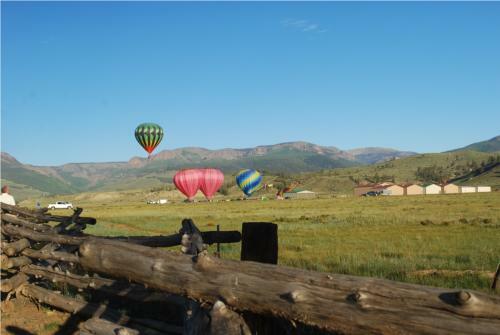 Tomorrow morning we will be leaving with our friends and going over to La Veta, CO for a few days. La Veta is another very small town that we enjoy visiting. Our friends have a small piece of property in that area so we will go with them to visit their piece of land. We will say goodbye to our friends in La Veta and reluctantly head back to the heat in Texas.